Expert tips on dairy free living - what cheese you can't live without! People often tend to carry their stress and tension around this area and over time can manifest as headaches and even effect your mood. Castor oil has a variety of uses and benefits so this season I will focus on 2 of them. How do I know if I am getting enough? Well recent studies reported by NCBI have concluded that vitamin D deficiency is a global epidemic. It is SO important to maintain a high balance of wholefoods including Superfoods in to your diet. Help your body fight off the symptoms of chronic stress with adrenal support. Holiday themed room spray recipe - quick & simple! "I want to share an easy and delightful room spray recipe with you! These little 4oz bottles make great gifts and will save you $$$. " When it's chilly out, there are so many times when we just crave a nice warm cup of tea! 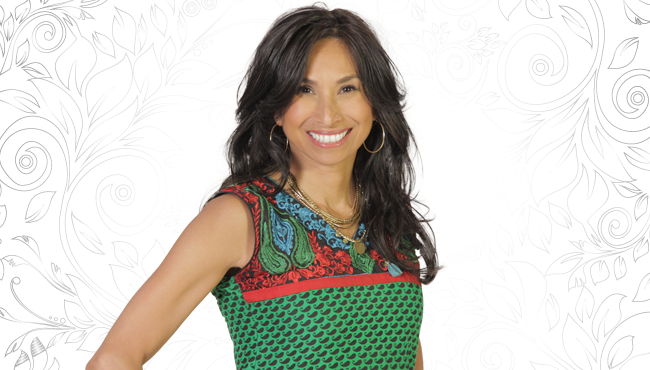 Michele Fife is the WOTV 4 Women wellness expert focusing on natural health and Yoga. She is an Ayurvedic Yoga Therapist and Nutritionist and sees clients at her office and Yoga studio - OMG!Yoga in downtown Rockford.